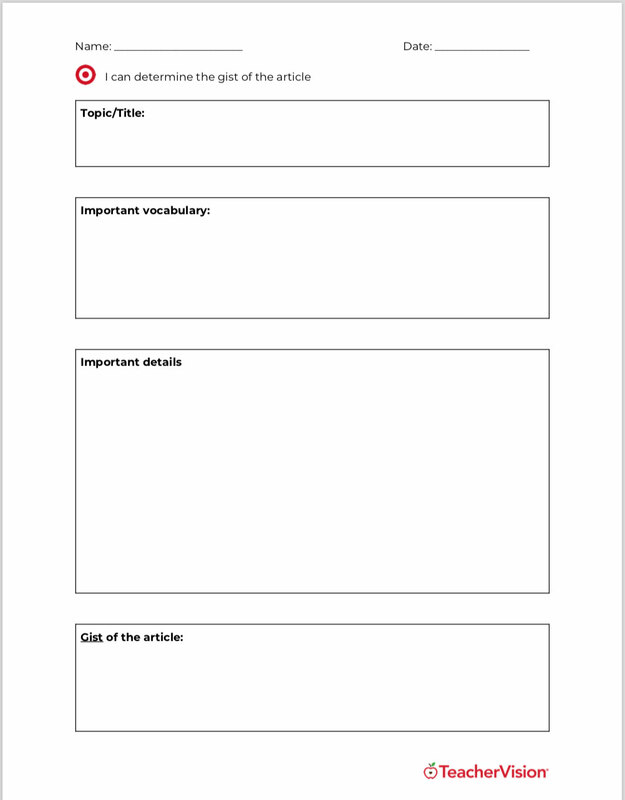 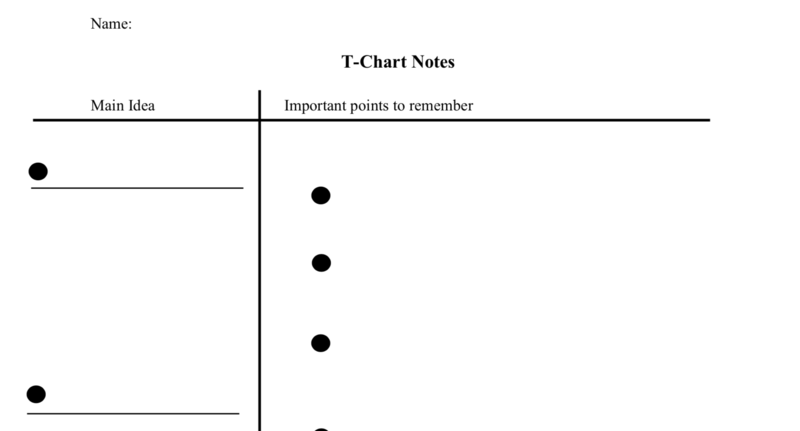 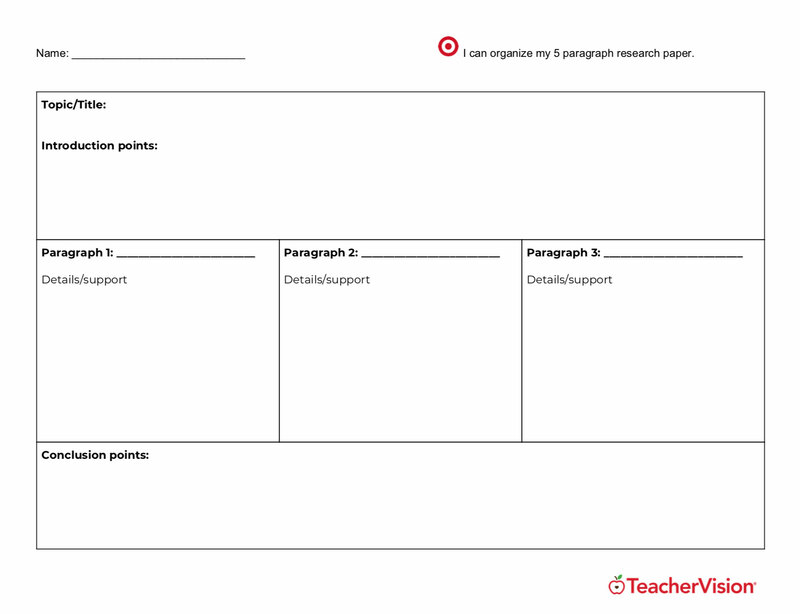 Students can use this graphic organizer to practice paragraphing. 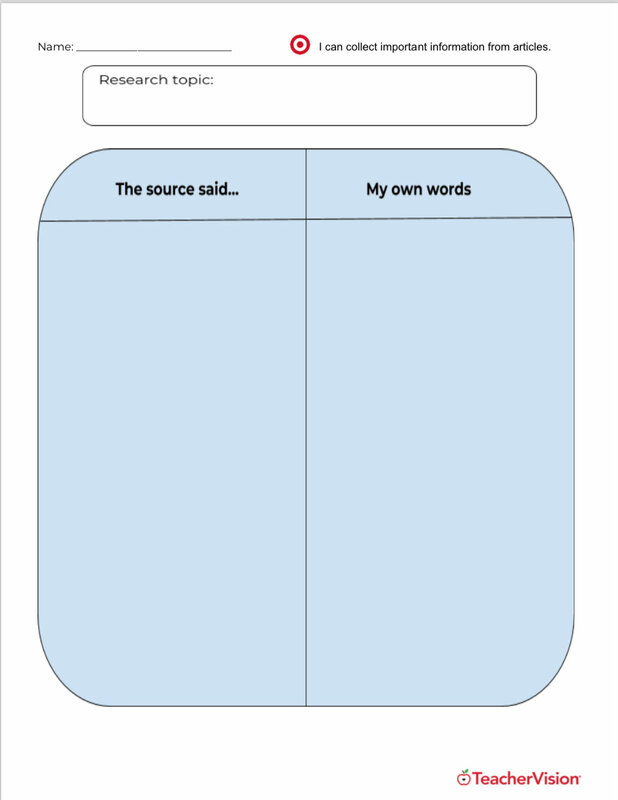 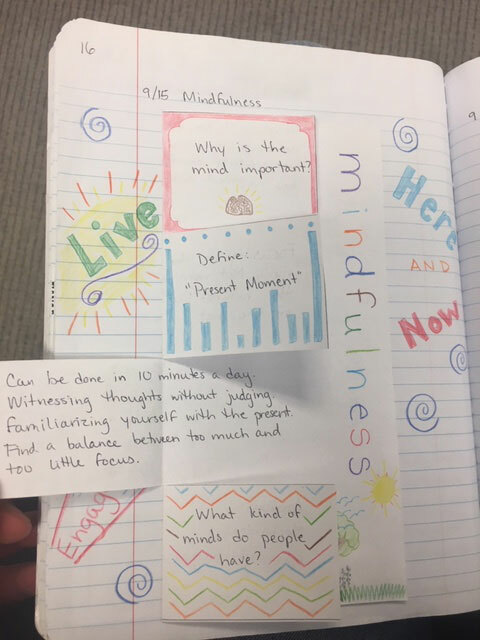 There is one column to record what the source said, and then another column for the student to re-write it in their own words. 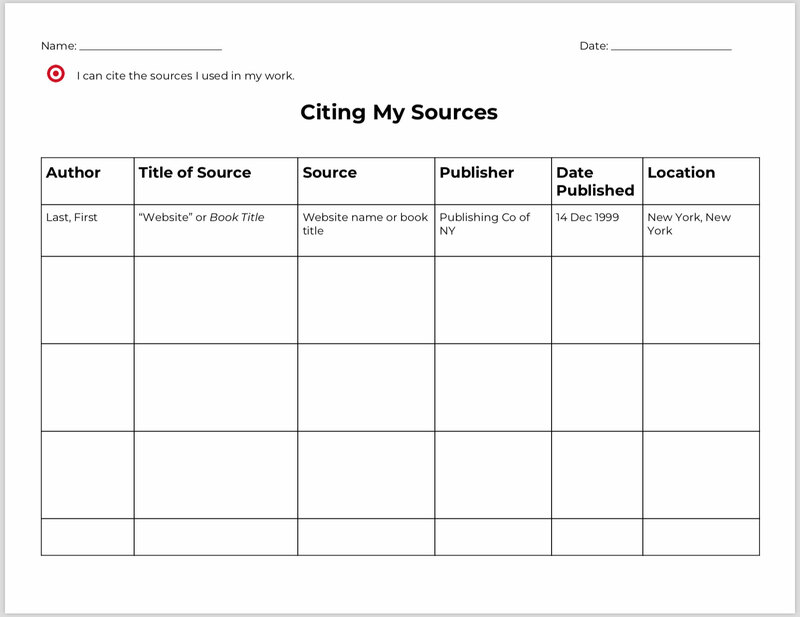 There is also a place at the top for students to record their research topic.